On January 25, 2018 our QCM-D experts provided a QCM-D demo with our instrument qCell T auto. The 3T team showed different aspects in theory and practice around the QCM-D technology as well as the qCell T auto. After a short introduction, all participiants explored in detail the instrument technology combined with the practical advantages in handling as well as data storage and management. 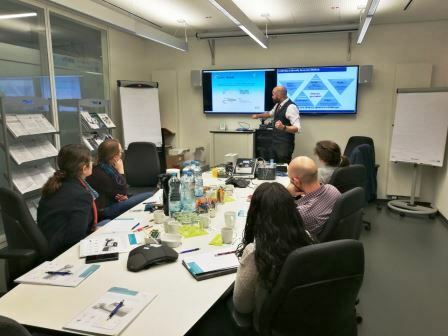 Especially, for the Biotechnology group of the RWTH Aachen we also focused on the practical training of electrochemistry functions. What about you? Would you like to receive hands-on training with our instruments? Contact us today for details!